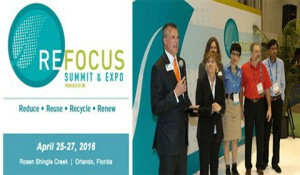 SPI: The Plastics Industry Trade Association has announced the agenda for its new Re|focus Recycling Summit Expo and launched the event web site as well. 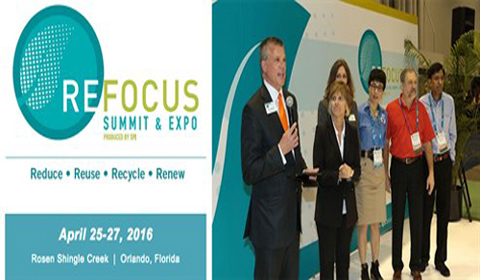 The Re|focus Recycling Summit Expo will take place from April 25-27, 2016 in Orlando, the US. The summit launches with an evening reception on Monday, April 25, events on the next two days will include sessions within seven concurrent tracks. Conference track topics will include cutting edge recycling technologies, product engineering design, supply chain management and manufacturing with recycled content, regulatory compliance issues, industry-specific topics on recycling to recovery and use of recycled content, sustainability challenges and solutions, and global manufacturing trends in recycled content. An off-site plant tour is also in development, announced SPI. “The Re|focus content will provide brand owners, processors, engineers and designers with resources to help them translate environmental goals into concrete actions. We want to help companies look at product manufacturing in a new way, with an increased focus on recycling and sustainability,” said Gene Sanders, SPI’s Senior Vice President of trade shows and conferences. Meanwhile, the expo floor is designed to be a solutions-based space featuring material suppliers, equipment suppliers, and recycling and sustainability service providers. ADG Solutions, Davis-Standard, Bunting Magnetics, Fukutomi Green Products, Kice Industries, Plastics Technologies Inc, Phoenix Technologies, Rapid Granulator, Ravago, United Recycling, and Weima America, etc. have already committed to the show. Attendee registration will open later in the summer and discounts will be available for members of SPI and official partner organizations, said SPI.